2011-12: Tonight is the fifth of six meetings this season, and the third and final at Madison Square Garden. New York is 2-2-0 overall (1-1-0 at home; 1-1-0 on the road) following a 2-0 loss on Feb. 21 at CONSOL Energy Center. The Rangers have out-scored the Penguins, 6-3, in second periods. Brad Richards leads the team in scoring with two goals and four points, while Henrik Lundqvist is 2-2-0 with a 2.28 GAA and .931 sv%. Last Season: New York was 4-1-1 overall (1-1-1 at home; 3-0-0 on the road). The Rangers power play was 7-22 (31.8%) in the season series, while the penalty kill was 20-22 (90.9%). New York out-scored Pittsburgh, 21-15, including a 10-4 margin in the third period and overtime. Ryan Callahan led the Rangers with five goals, nine points, four power play goals and three game-winning goals in six games, while Brandon Dubinsky tallied a team-high, six assists in the season series. Henrik Lundqvist was 4-1-1 with a 2.29 GAA and .926 sv%. The Rangers penalty kill has held opponents scoreless in five of the last seven games (20-22, 90.9%), and are 25-28 (89.3%) in the last nine contests. The Rangers are tied for sixth in the NHL with seven shorthanded goals. The Blueshirts have posted a record of 20-1-4 in games when tallying a power play goal, and are 29-10-3 when not allowing a power play goal. Power Play: The Rangers did not tally a goal in three power play attempts (4:52) on Tuesday vs. Carolina. New York ranks 28th overall (34-233, 14.6%) and 22nd at home (19-122, 15.6%). The Rangers are 3-15 (11:31) in five-on-three situations (last – 3/13 vs. CAR), and 2-9 (12:08) when four-on-three (last – 3/11 vs. NYI). Shorthanded goals allowed (3): 12/5 vs. TOR (Steckel); 12/8 vs. TBL (Moore); 12/17 at PHX (Korpikoski). Penalty Killing: The Blueshirts surrendered one goal to the Hurricanes in four shorthanded situations (6:09) on Tuesday at MSG. New York is tied for fifth overall (192-222, 86.5%) and sixth at home (84-99, 84.8%). The Rangers are 8-9 (4:34) in three-on-five situations (last – 2/16 vs. CHI), and 2-3 (2:24) when three-on-four (last – 2/16 vs. CHI). Shorthanded goals for (7): 10/20 at CGY (Prust); 12/8 vs. TBL (Anisimov); 12/10 at BUF (Hagelin); 12/10 at BUF (Callahan); 12/20 at NJD (Hagelin); 1/6 at PIT (Dubinsky); 2/12 vs. WSH (Prust). Four-on-Four: New York did not tally/yield a goal in one four-on-four situation (1:01) on Tuesday vs. Carolina. 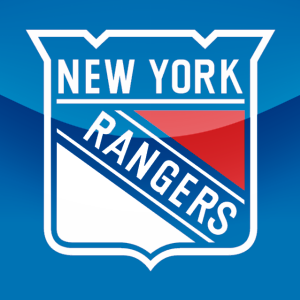 The Rangers are plus-six in 75 four-on-four situations (133:49), and even in two three-on-three situations (0:38). Four-on-four goals for (9): 10/18 at VAN (Gaborik); 10/20 at CGY (McDonagh); 10/27 vs. TOR (Girardi); 1/2 vs. FLA (Gaborik); 2/9 vs. TBL (Stepan); 2/9 vs. TBL (Richards); 2/14 at BOS (Anisimov); 2/19 vs. CBJ (Stepan), 2/25 vs. BUF (Callahan). Four-on-four goals allowed (3): 2/9 vs. TBL (Lecavalier); 2/25 vs. BUF (Stafford); 3/2 at TBL (Malone). The Blueshirts’ 24-7-2 (50 pts.) mark at MSG is their best record at home through 33 games since 1993-94 (23-6-4, 50 pts.). The Rangers are 13-5-2 against Atlantic Division opponents this season, including a nine-game winning streak from Nov. 15 –Jan. 6. New York has out-scored their opponent, 57-43, in divisional play. Rangers’ defenseman Marc Staal has faced off against his younger brother, Pittsburgh forward Jordan Staal, 24 times in his career, amassing an 11-11-2 record with eight points (two goals, six assists) and 26 penalty minutes. Jordan has registered a 13-6-5 mark with 13 points (six goals, seven assists) and 24 penalty minutes. The Rangers’ .688 win% is the team’s best record through 69 games in 39 years, when the 1972-73 Blueshirts began the season with a 44-18-7 record (.688 win%), and is tied as the third best mark in franchise history. The Rangers reached the 40-win mark in 61 games, which is tied as the second fastest to 40-wins in franchise history. This entry was posted in AHL, Connecticut Whale, CTWhale, Hartford Wolf Pack, Hockey, New York Rangers, NHL, Sports and tagged Atlantic Division, Brad Richards, Brandon Dubinsky, Carolina Hurricanes, Evgeny Malkin, Henrik Lundqvist, Madison Square Garden, Marian Gaborik, Martin Biron, New York, New York Ranger, New York Rangers, Pittsburgh, Pittsburgh Penguins, Ranger, Sidney Crosby. Bookmark the permalink.